Have you ever been camped out with your vehicle... somewhere way off the beaten path... and when you decide to move on, you discover that your battery has other plans for the day? I have. It's not a very fun scenario. When you are contemplating remote travel and you plan to add a fair amount of electronic accessories to your vehicle of choice, it's not a bad idea to consider an auxiliary battery system. Especially if you wish to run various electronics while you are camped out with the engine shut off. With a second battery, you can run plenty of electrical accessories without having to tap into the precious power that your starting battery needs to remain reliable and get you moving when you want to. Another good reason to have auxiliary battery power is if you plan to run high-powered equipment such as a winch or an on-board welder. Depending on your needs and preferences, there are a few different ways to configure an auxiliary battery system. 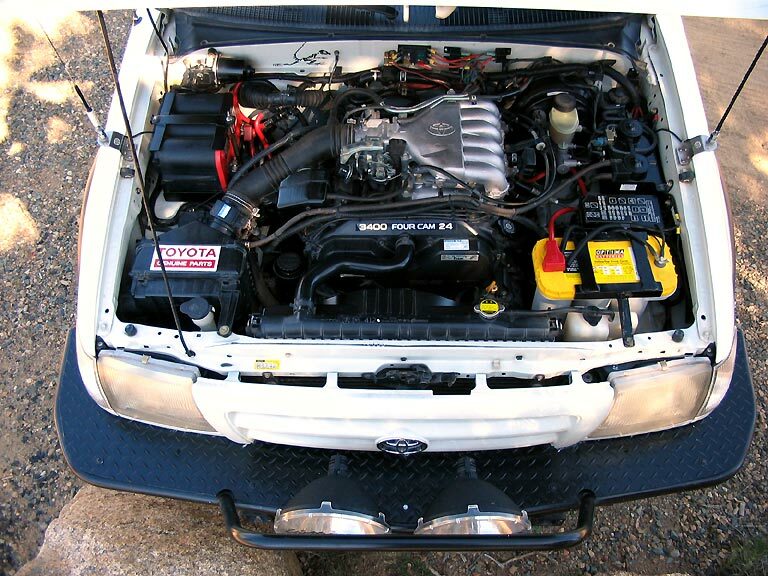 For my particular application, I made a decision based on the following; I don't have an electric winch or welder on-board, I don't have any immediate plans to replace the stock alternator, and my primary use will be for 12V communications and camping accessories. 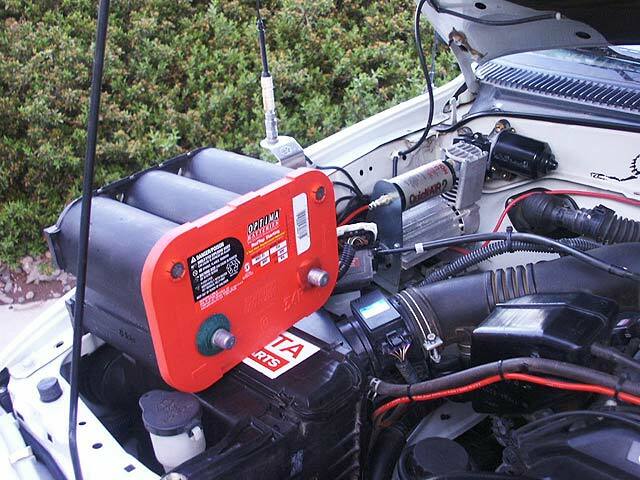 Frequent items in use while the engine is off, include 2-meter and CB radios, stereo system, reading/camper lights, refrigerator, NiMH battery charger, and a shower. I also have a 12V electric blanket that is used on occassion to pre-warm the bedding on very cold nights. While the engine is on, I also occassionally use some high-powered off-road lamps for running trails at night. Based on these fairly light-duty requirements, I chose a battery combiner/isolator called the Pathmaker, made by Xantrex. 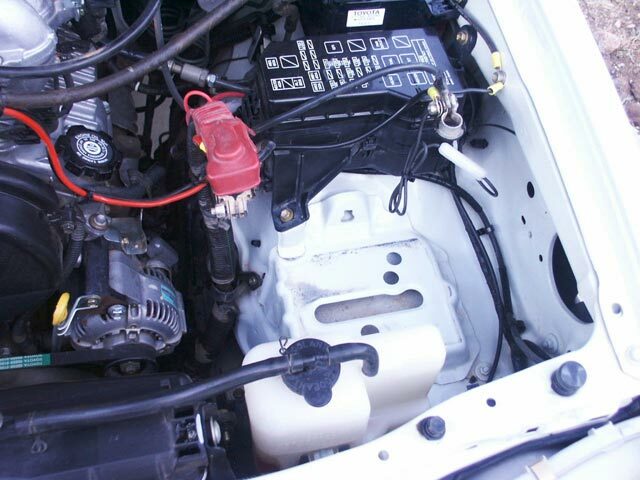 It will automatically combine both batteries for simultaneous charging when a voltage source (alternator) is present, and disconnect them when the alternator is off, so my auxiliary battery cannot drain the starter battery. Additionally, it has a cutoff switch that will disconnect the batteries altogether if they begin to overcharge. All of the switch points come with factory settings, but can be user adjusted. There are LED indicators to tell what state of operation the unit is in (connected, disconnected, shut off, overcharging). There is also a moment switch that will combine the batteries for an emergency start, and could be considered an "automatic jump-start" mode. A nice aspect of this unit is that there is no voltage loss across the isolator (as is common with diode-type isolators), so the batteries get the full amount of voltage available to them from the alternator. The following pictorial will illustrate the basic layout of this system. I began the project by determining what kind of space was available for the two batteries, and then checked to see what different battery dimensions might work. I figured out that if I were to remove my QuickAir compressor from the passenger-side fender area, that I would have enough room to mount an Optima Group 34 battery on its side with no interference from the hood. I already had an Optima Red-top, which would be retained for engine starting and OEM electrical system duties. If I were choosing a new battery, I would get a Yellow-top deep cycle unit instead. The reason being that there are deep-cycle batteries such as the Yellow-top available, that have great cold-cranking power while retaining the ability to withstand deeper discharging on a repeated basis. Considering that I still have my stereo system on the OEM wiring harness, the deep-cycle would be my first choice, but the Red-top does fine. Here is a photo of the fender area with the air compressor removed. I also had to remove the module for the cruise control (not shown), as it infringed upon the battery space just slightly. The cruise control module can be retained, but the bracket will have to be modified so as to relocate the module slightly forward. 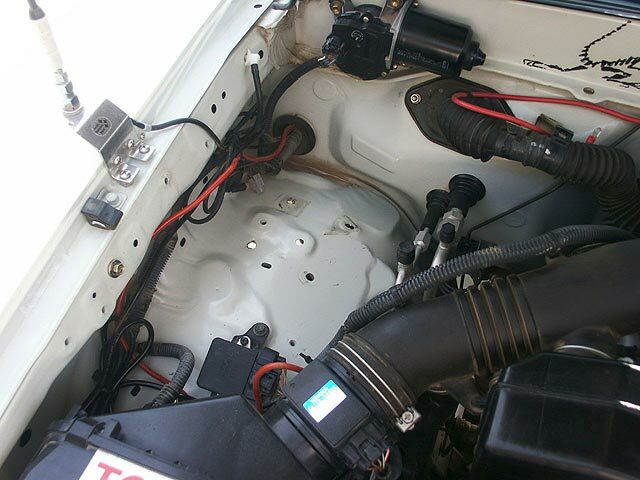 There is actually quite a lot of room in the stock battery location, so I decided that it would be wise to relocate the starting battery to the passenger fender location, and install the auxiliary battery in the OEM location, allowing the fitment of a larger battery size. 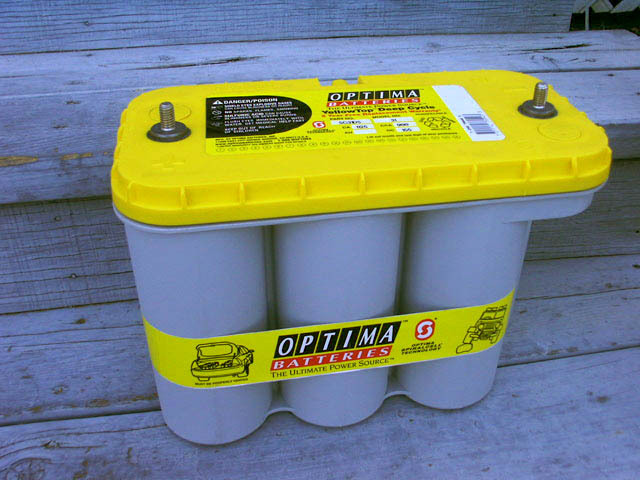 For the auxiliary battery, I chose an Optima Yellow-top Group 31 deep cycle (Model 31DT). The Group 31 battery size is typically used in heavy-duty commercial applications such as industrial machinery, freight trucks and heavy equipment. I chose the Optima brand because it features an outstanding case construction and is very resistant to damage from vibration. The specs on this model are as follows: 12 volts, 1125 cranking amps at 32 degrees F., 900 cold-cranking amps (CCA) at 0 degrees F., 75 amp-hour (20-hour rate), Reserve Capacity 155, Internal resistance (ohms) .0025, length 12-13/16", width 6-1/2", height 9-3/8", weight 59.8 lbs.